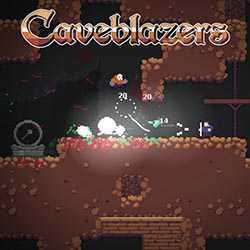 Caveblazers is an Action and Adventure game for PC published by The Yogscast in 2018. Explore the dangerous caves to go on amazing adventures. There are lots of enemies in these caves that may hurt your character. You have to protect him against them.